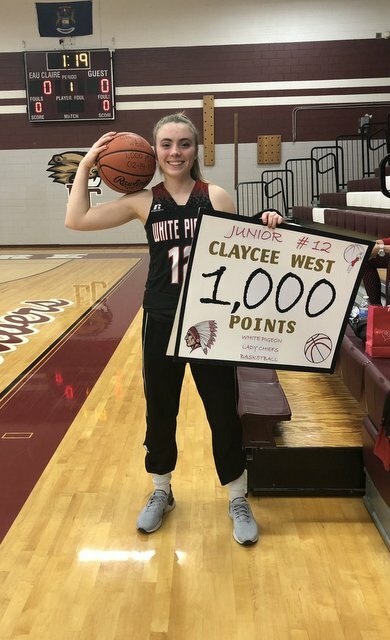 (EAU CLAIRE) – It was a special night for White Pigeon's Claycee West. Not only did her team beat host Eau Claire 67-14 in a Southwest 10 girls basketball game, but West was the leading scorer with 31 points and had 8 steals. With that point total, West went over the 1,000 point mark for her career. Teammate Raine Atherton had 8 points and Lauren Dressler had 7 points in the win.